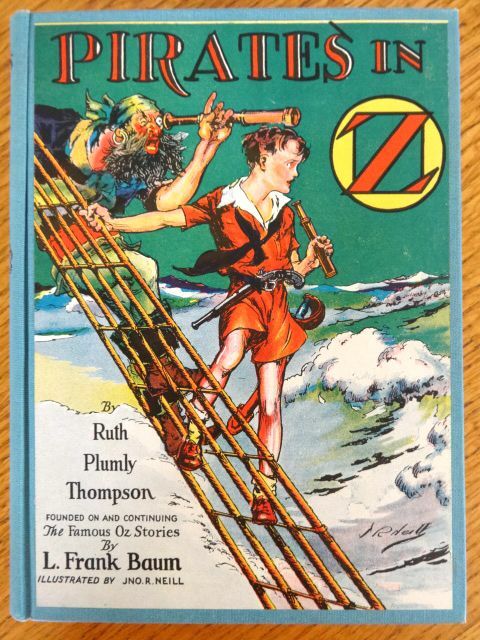 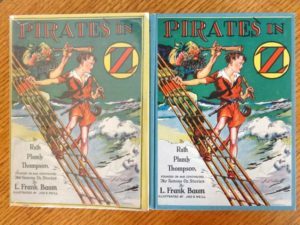 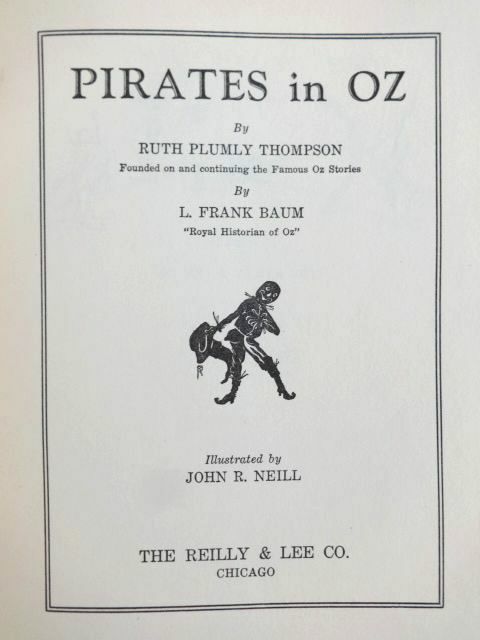 Here is a beautiful copy of “Pirates in Oz”, copyright 1931 by Ruth Plumly Thompson. 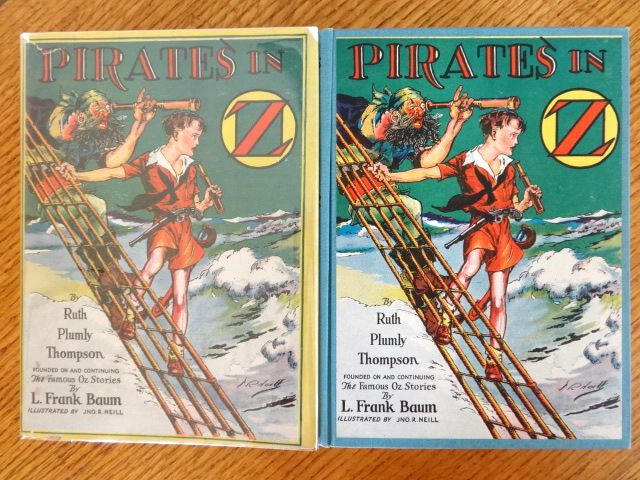 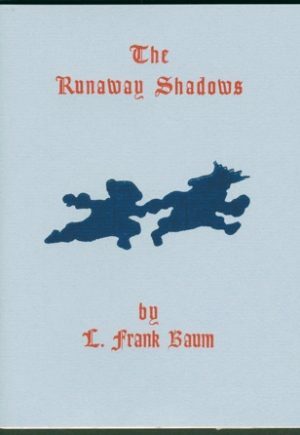 Published by Reilly & Lee, with the full color pastedown cover as well as the dust jacket. Black and white illustrations by John R. Neill, blank endpapers. 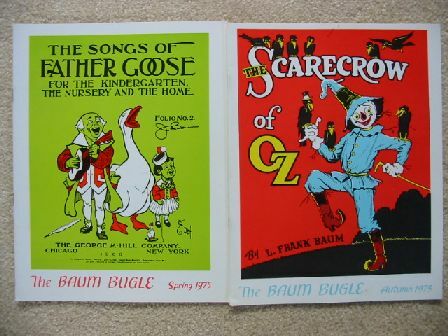 Last title on the flap is Magical Mimics in Oz, dating the book to about 1946. 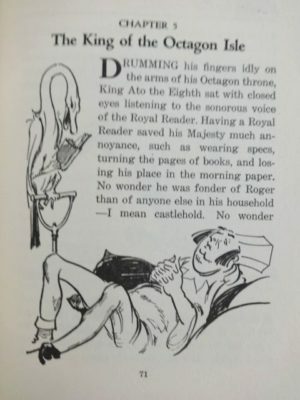 Book itself is in fine overall condition. Cover pastedown is beautiful, still with a bit of glossiness; spine and rear cover cloth are perfect. 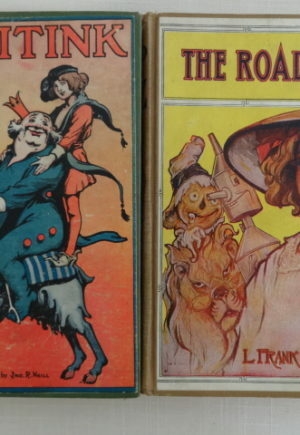 Inside, hinges and binding are tight, and the the text is beautiful and clean with no marks, tears or odor. 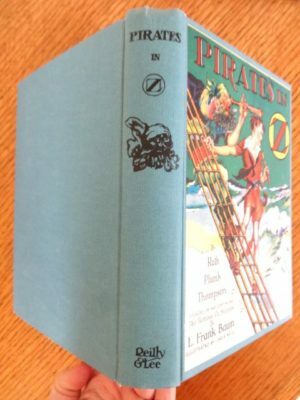 The dust jacket is very good, clean and pretty with a little chipping at spine ends and a few closed tears. 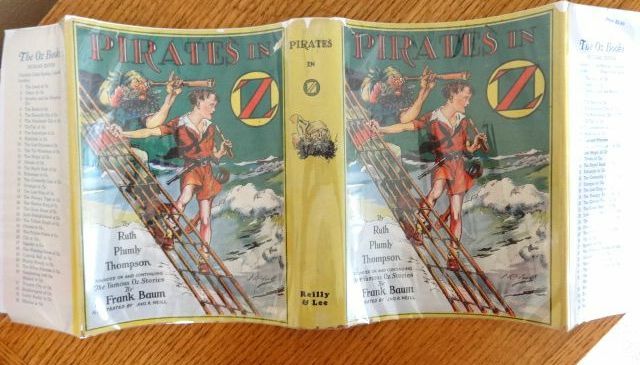 Now protected in a mylar-type cover. 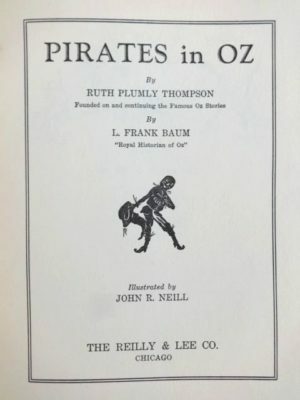 A hard to find title in the dust jacket!